Israel is throwing a party to welcome the official relocation of the U.S. embassy from Tel Aviv to Jerusalem, and Hamas is threatening to crash it. The American consulate in the city's Arnona neighbourhood will be elevated to a temporary embassy in a ceremony on Monday, with 800 invited guests on hand including Israeli Prime Minister Benjamin Netanyahu. Donald Trump had mused about attending, but ultimately decided to send his son-in-law, Jared Kushner, in his place. Also attending will be his Treasury Secretary Steven Mnuchin, deputy Secretary of State John Sullivan, and several members of the U.S. Congress. Roads signs pointing the way to the embassy in Hebrew, Arabic and English went up earlier this week. 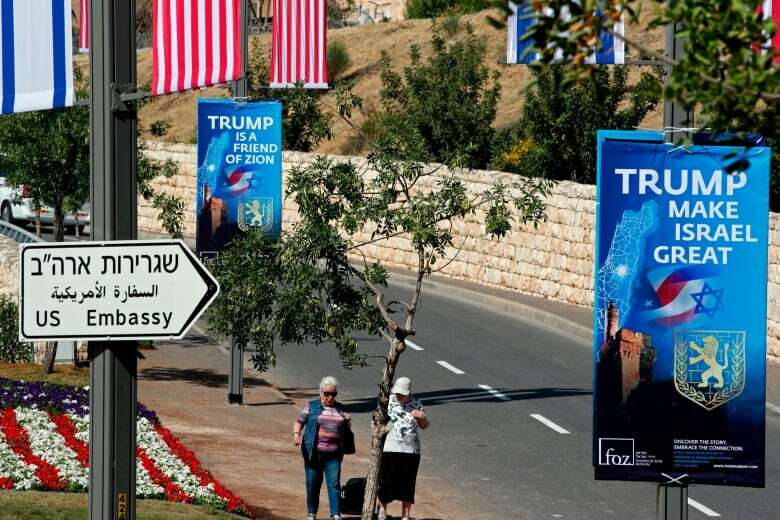 Jerusalem's mayor, Nir Barkat, has announced a plan to rename a nearby plaza United States Square, and the city has been bedecked with American flags, flowers and pro-Trump banners. 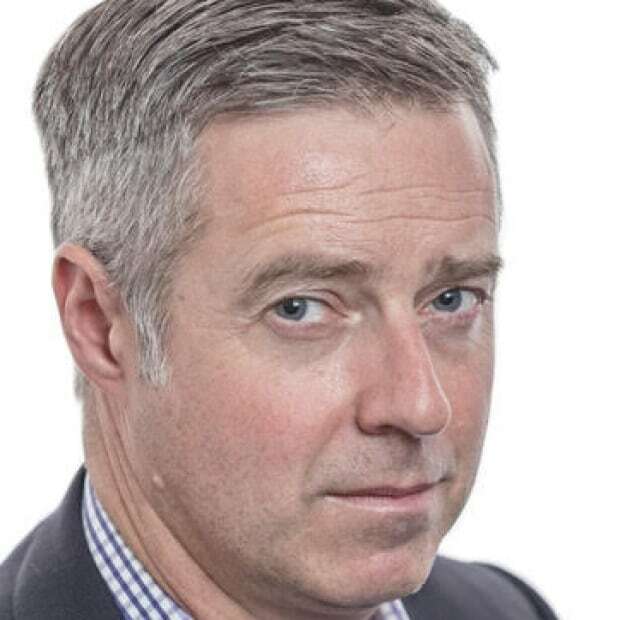 But the Gaza branch of Hamas is raising the spectre of a mass attempt to breach the border fence on Monday and Tuesday, perhaps involving hundreds of thousands of people. "What's the problem with hundreds of thousands breaking through?" 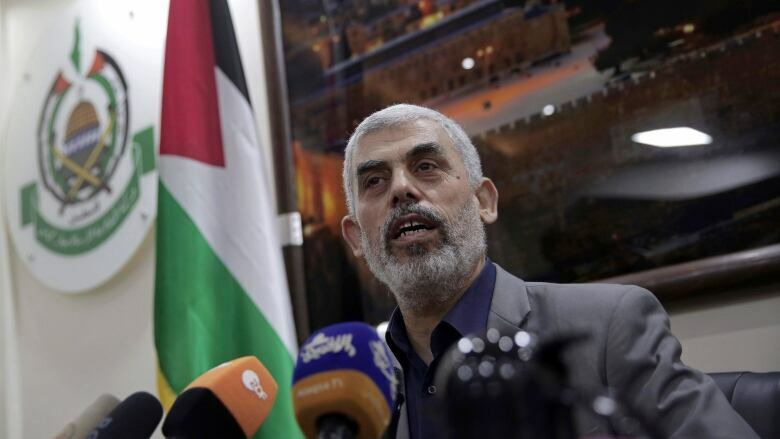 Yehiyeh Sinwar, a senior Hamas leader, asked reporters on Thursday. "We won't accept the walls of this prison. "There is a hungry tiger blockaded for 11 years. Now this tiger is out of its cage." Israeli Defence Minister Avigdor Lieberman warns that, 'the opening of the U.S. Embassy in Jerusalem will come at a price and it is worth paying it.' (Nir Elias/Reuters)So far 53 Palestinians have been killed, including a 16-year-old boy today, and 1,700 more wounded in clashes at the fence. The Israeli army is warning that it will continue its live-fire policy. Israeli police say they won't be issuing any special security warnings surrounding Monday's embassy opening, but are keeping a watchful eye on the situation. However, the government is bracing for trouble. 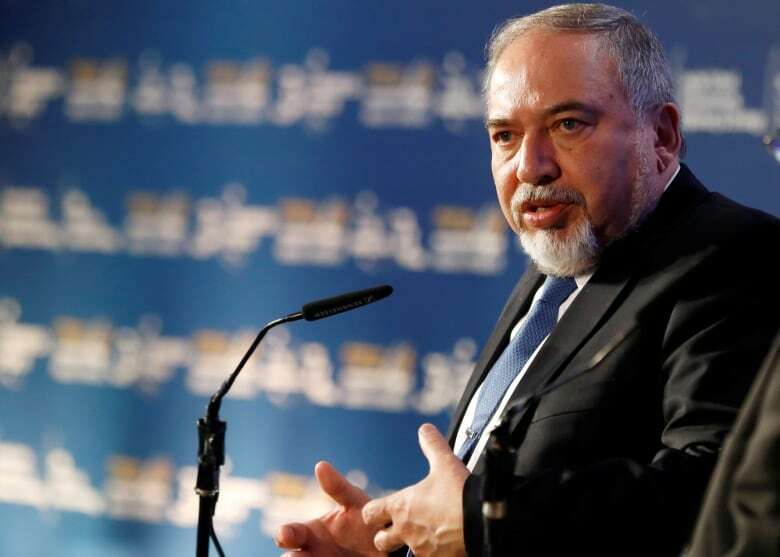 Last week, Avigdor Lieberman, the defence minister, told Israeli television that the "historic" decision will have consequences. "The opening of the U.S. Embassy in Jerusalem will come at a price and it is worth paying it. We should be prepared to pay a price." There will be protests outside of the country as well, like the one in Jakarta, Indonesia, today. It drew an estimated 30,000 people, and calls for jihad against Israel. 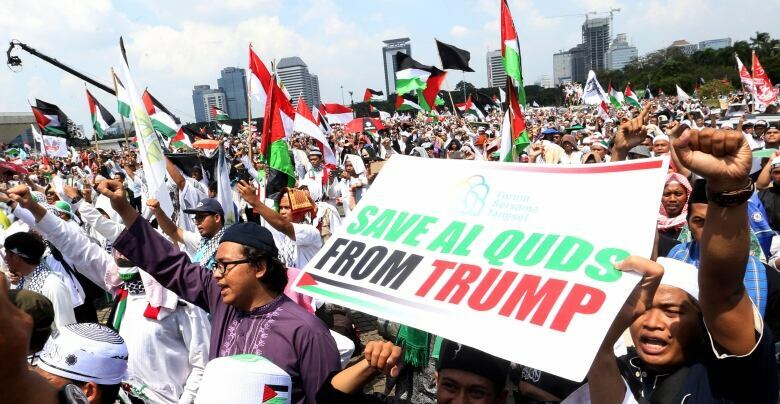 Protesters in Jakarta, Indonesia, shout 'God is Great' during a rally on Friday against the U.S. plan to move its embassy in Israel from Tel Aviv to Jerusalem. (Achmad Ibrahim/Associated Press)Meanwhile, the diplomatic community is giving the Jerusalem festivities a cool response. Haaretz reports that only 30 out 86 foreign ambassadors in Israel have accepted an invitation to a celebratory reception on Sunday night, with several heavy-hitters like Russia, Germany, Australia and Sweden indicating that they have other plans. The Americans don't seem that fussed. U.S. government maps are being updated to mark Jerusalem with a star, in line with the way it treats other capital cities, and the search is on for the site to construct a permanent embassy. Andrew Chang on assignment: The co-host of The National travelled to Ford's assembly plant in Michigan to check out a "bionic" vest that's being tested to see if it can boost workers' stamina and make them less prone to injury. "Augmenting a human provides the best of both worlds." It's a striking thing for an engineer at Ford to tell me — the answer to the question: if you can't give machines human-like intelligence, can you give humans machine-like stamina? That's where Ford's exoskeleton experiment comes in. The company has been piloting a spring-powered "bionic" vest workers can wear that, by giving them a few extra pounds of lift, can make their own arms feel weightless. The thing you only realize once you actually visit an auto assembly line in person is that work there has a body-breaking rhythm to it. On the so-called "high line," cars rumble by overhead every 50 seconds. In that time, your job might be to reach up, snap in the fuel line, then wait for the next car. And while it may sound more mind-numbing than physically strenuous, consider how many times a day you'd have to raise your arms up above your head to work, then lower them down again, in a 10-hour shift. It's thousands of times a day, and lots of folks do that five days a week for their entire working lives. The human shoulder is versatile and flexible, but it's also weak — and injuries cost money. Ford is seriously considering rolling out the eksoVest to more of its workers, but before the company pulls the trigger on a massive scale, it wants to make sure there's positive feedback from more human test subjects. 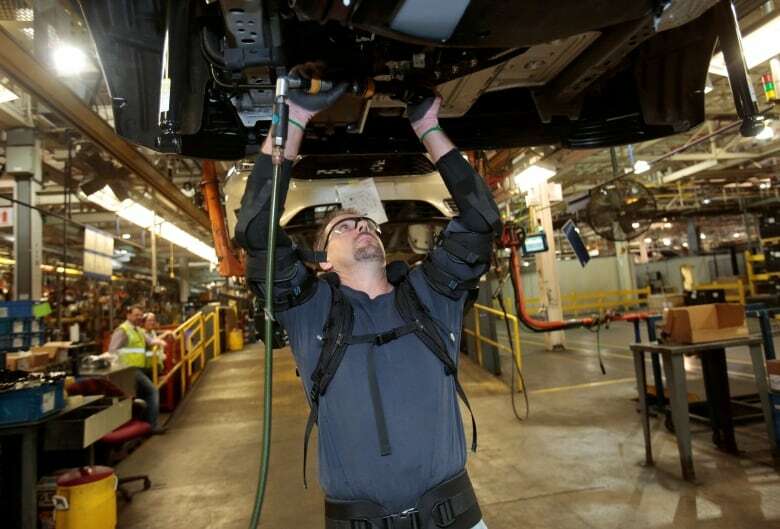 And judging from the reaction of a worker who's been wearing a bionic vest for months, that shouldn't be too hard to get: "My neck — instead of having to Icy Hot it down three or four times [a week]," Ford assembly worker Paul Collins tells me, "I feel fine at the end of the day." A deadly fungus that is killing the world's amphibians is likely being spread by the international pet trade, a new study concludes. Batrachochytrium dendrobatidis (Bd), better known as chytrid fungus, is a skin infection that interferes with electrolytes in frogs, toads and salamanders. It causes organ failure and heart attacks. The quick-spreading infection is believed to have wiped out at least 200 species of frogs in the wild since the 1970s. One of 100 Korean golden frogs that the Seoul Zoo released at a local ecological park in 2016 to try and bolster numbers of the endangered amphibian, which is indigenous to Korea. (EPA)The study, published yesterday in the journal Science, used an international team of researchers to gather and genetically sequence 234 samples of Bd and trace their lineage. Three relatively innocuous strains were found to be present all over the world, but the fourth and most damaging type was only native to frogs from the Korean peninsula. The paper's 38 authors concluded that the spread of the deadly pathogen was directly tied to the "global expansion of commercial trade in amphibians" that started in the early 20th century. And they're calling for an immediate ban on the sale of pet frogs. "Our research not only points to East Asia as ground zero for this deadly fungal pathogen, but suggests we have only uncovered the tip of the iceberg of chytrid diversity in Asia," one of the lead authors, Professor Matthew Fisher of the School of Public Health at Imperial College, said in a release. "Therefore, until the ongoing trade in infected amphibians is halted, we will continue to put our irreplaceable global amphibian biodiversity recklessly at risk." 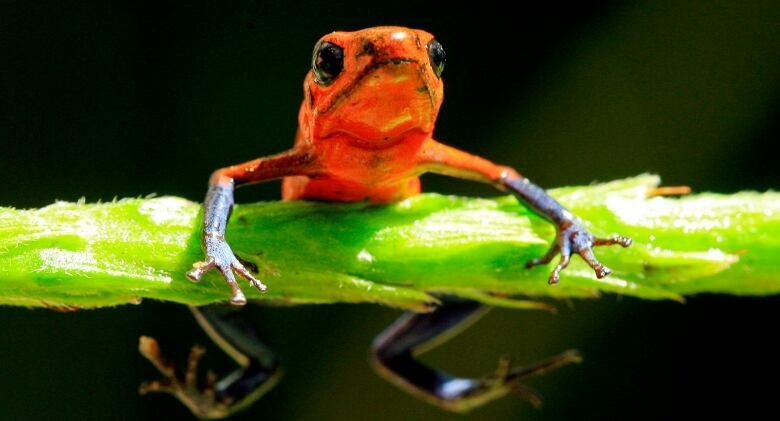 A Blue Jeans Dart Frog is one of the amphibians disappearing from Costa Rican jungles. About a third of the region's known species of frogs, toads and other amphibians are classified as threatened, according to the Global Amphibian Assessment survey. (Juan Carlos Ulate/Reuters)Up until now, scientists have been debating whether the chytrid fungus was spreading so quickly due to climate change or because the pathogen was being introduced to populations by outside factors. A 2017 study published in Fauna & Flora Internationalreviewed import and export data from 1976 to 2007, and found that the live amphibian trade involved 18 genera, 27 species and 482,292 individual animals. As it stands, chytrid fungus is already a worldwide problem. 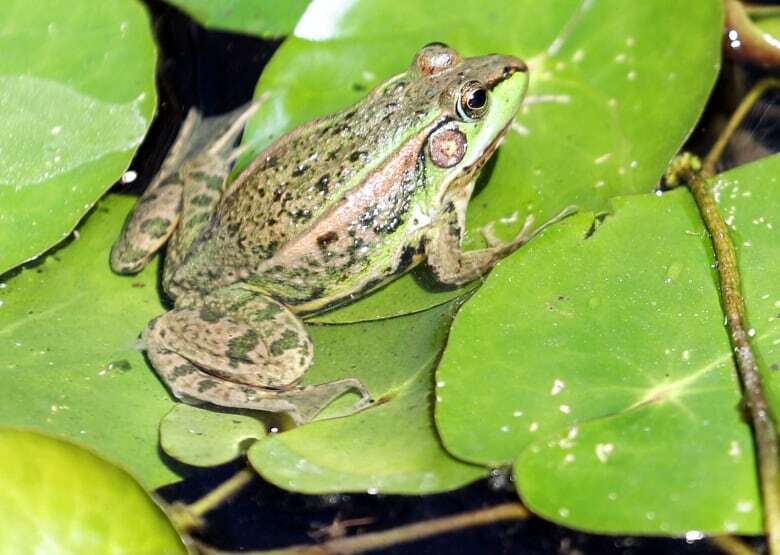 In Canada, 44 per cent of frog populations in Alberta have been infected. In British Columbia, 11 per cent of all amphibians sampled tested positive for the pathogen. There are bright spots, however. Another report from Science, published in March, found that nine species of frog in Panama that were believed to have been wiped out by the infection in the mid-2000s have in fact survived and thrived. The frogs show evidence of the fungus, but no ill-effects, suggesting they may have developed a natural resistance. 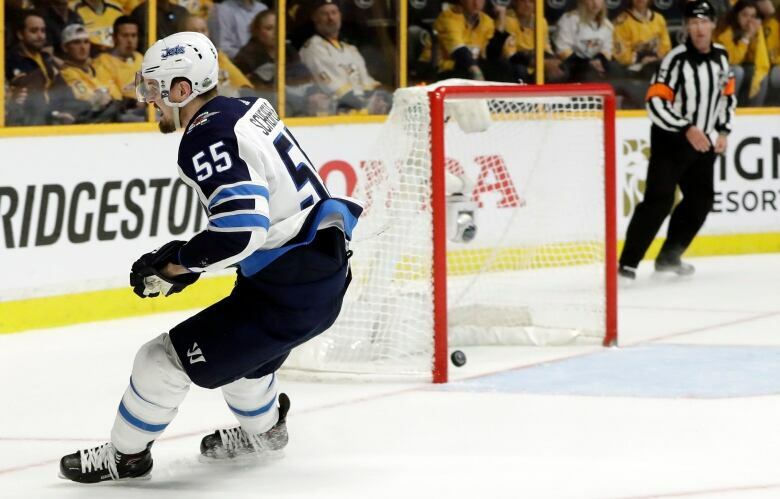 - Winnipeg Jets centre Mark Scheifele on last night's Game 7 victory over the Nashville Predators, sending the club to its first-ever Conference Final, and breathing hope into the dream of a Canadian team again winning the Stanley Cup. "No instant food yet has been devised that is as good as fresh food," rants the cardigan-wearing author and TV personality in this shouty promo for his 1967 tome, The Centennial Food Guide. Plenty of "nonsense" and "balderdash," and a bonus reference to shopping at the "Piggly Wiggly." The take-away: Pierre Berton really, really didn't like instant coffee.